Is there such a thing as a child who eagerly comes to the table ready to eat anything set before her? I truly believe that it is a possibility, and whether you clicked on this post because you are a brand new mom hoping for some guidance as you start solids with your baby, or you are a seasoned momma pro who has a bit of pickiness in the house you are hoping to change a bit, I hope by the end of reading this, you will feel empowered. I think feeding babies and toddlers has become a big source of anxiety for some moms, and I want to take that away. I remember being so nervous to feed my first baby. I had no idea what I was doing, but along the way I have learned some things that literally make the difference between a toddler completely refusing a food and gobbling it up without question. A little dose of reality before we get to the tips! We certainly have our moments. How can you not with 3 completely different personality kids?! It is impossible. They are kids. They have completely different temperaments, bad days, good days, and they are still learning and growing. Do we have some complaining some days? Yep. But much fewer and far between than many homes. If you hop over to my Instagram and search the hashtag #toddlerfeedingtips you will find a plethora of 2 and 3 year old “moments” that I made teaching examples out of my current toddler, who is…ahem…very 3 years old right now! Babies are essentially blank slates when it comes to first tastes of new food. Take advantage of that! They have no past experience of food to draw from like you. You may have hesitance toward certain foods that you don’t particularly care for, but your baby might like it on the first try! Saying things like “It might be kinda bitter” or “You might not like this but…” or “If you don’t like it we can have_________instead”, especially when said with a hesitant look on your face, is totally setting baby up to be cautious about the food! They are reading your face like a book! Instead, when trying new tastes of food with baby, put that smile on your face even if you don’t like it. Start saying things like “mmm” or “yummy” while you are feeding it to them – keep it happy and light. Never force feed or get upset. First foods should be fun and exciting. I truly miss this part of my babies at home! Make it fun. If you have toddlers already, continue to keep the atmosphere positive. When a new food arrives to the table don’t make a big deal out of it! I try to not even draw attention to it. Telling them right off the bat “This is a new food and you have to at least try it” is basically telling them, “I know you aren’t going to like, it but you have to at least give it a try.” My current 3 year old is the QUEEN of saying NO to brand new food on her plate. It is the funniest thing because once that first bite is in, 9 times out of 10 she says “oh it’s good momma” and continues on her merry way. I remember a few years ago we finally found a source of wild caught fish in our area. We don’t live in an area where it is abundantly accessible, so my first and second babies didn’t get a ton of fish as babies other than daily cod liver oil, and a huge splurge on something we could barely afford here and there. So we found this source of fish, and because I didn’t grow up on fish (unless you count fish sticks from a box! ), I was absolutely just sure they were going to hate it. I pepped talked myself that we were going to have to get them used to it. Despite my hesitancy, I put a smile on my face and served dinner that night. When the girls – toddler and preschooler at the time, asked what it was, I excitedly said “It’s salmon!”, and “It is so delicious! What a treat to find this where we live!” I happily started eating, even though it was a taste and texture that was not my favorite, and the girls took a bite. One of them was hesitant with the first bite, but to this day she is still my fish addict! She would eat it every day if she could. Neither one of them batted an eye to the brand new fish on their plate, and I truly think it had a lot to do with not only the fact that they have broad taste palates from being served a variety of food as little ones, even more so I think my attitude set the tone of the meal. Our culture overwhelms babies and toddlers. Plain and simple. We overwhelm them with over stimulation in brightly colored, overly decorated fancy toddler plates and fancy sippy cups. And we overwhelm them with way too much food on their plate. Babies and toddlers are still learning how to sort out any and all stimulation in their environment. Putting a brand new food in front of them on a brand new plate that is very interesting to look at is sending their sensory system into overload. They eventually “cash out” displaying crabbiness and fidgeting because they don’t know what to do with it all! You can always give them more when they finish! My 5 year old still gets overwhelmed if I put too much on her plate. It makes the plate of food look manageable and appealing when you use smaller portions. Their little tummies don’t hold much as it is – they will ask for more if they are still hungry. Use appropriately sized, simple feeding gear. Because I get asked so often what plates, cups, spoons, and bowls are on my Instagram pictures of the girls’ food, I thought I would use this spot to address this, but please, use what you have at home! I love the Corelle brand because they truly don’t break when dropped – which is going to happen! People often get nervous to give little ones real plates but I have found they catch on quite quickly to keeping the plate on the table (I don’t even bother with plates as babies – feed off your plate or toss it on the table or tray for them!). If you are lucky enough to have some of your Grandma or mom’s Corelle pull those vintage pieces out and use them! Tea cups and small mason jelly jars for drinks and smoothies. I love these short, stainless drinking straws too for smoothies as well as using in a bowl for liquidy soups and soup purees! I use teaspoon sized spoons and smaller/thinner forks – they were my Grandma’s old silverware and I think utensils today are made so big and heavy compared to back then – search out for the old stuff – thinner and lighter weight for little hands! Starting out with lots of variety when they are ready for solids is so key. Even though my 3 year old is in a very toddler stage of wanting to express her independence with that fancy “no” word, she still has a super broad taste palate because when she started solids we tasted lots of different food! My now 5 year old was a lot like her at age 2 and 3 and I literally can’t think of any food she turns down right now. Especially for those who didn’t grow up in homes that did the home cooked food all the time, I know that cooking seems overwhelming – especially when you throw in there making sure there is variety! Helping families feed their babies well is such a joy to me. I want to take that source of feeding anxiety away from you. If I could hold your hand and cook with you a few times in your kitchen I would! Because I know how much of a difference it makes to serve real food to little kids. Which is why I poured my heart and soul into writing Nourished Beginnings Baby Food…for YOU. It is my way of walking new and seasoned moms through getting real food into your kitchen for your family in a do-able, busy family way. 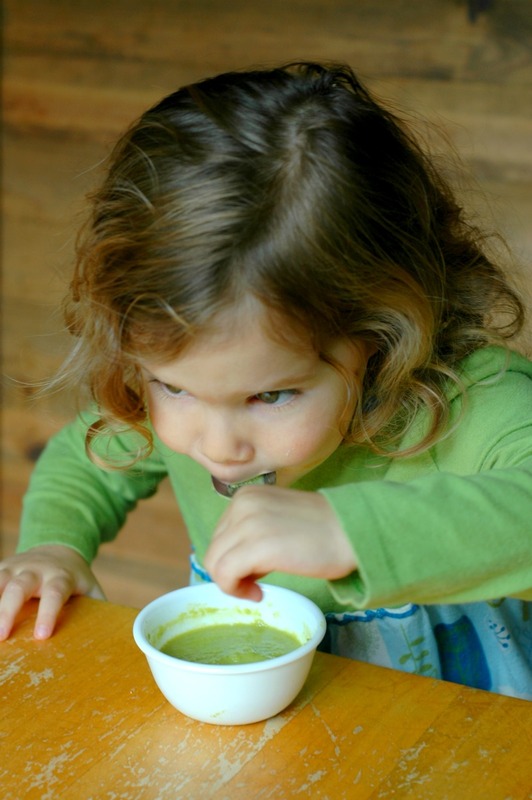 The food in Nourished Beginnings is simple and nourishing and full of variety. You will learn tips on the very basics of how to start feeding baby, knowing when she is ready for feeding, and what to start with, and how to feed it. You will also learn how to take those basics and move them to the dinner table for the whole family. The book is based on my no fuss approach to feeding babies a wide variety of vegetables, fruits, meats, fish, and fats – without spending all day in the kitchen. I will walk you through safe foods to start for baby’s developing digestive system, while nourishing their growing brains and bodies. 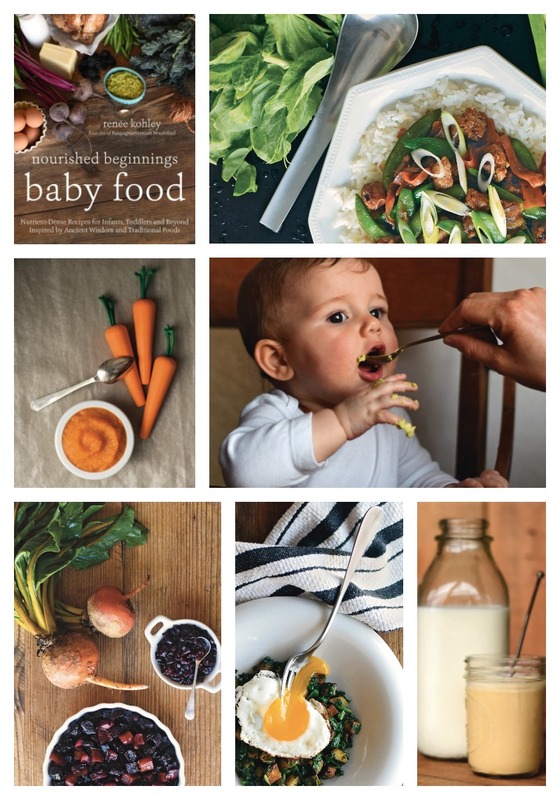 Nourished Beginnings is more than just a baby food book! More than 2/3 of the book is family meals for the whole family with tips on how to serve it to baby. 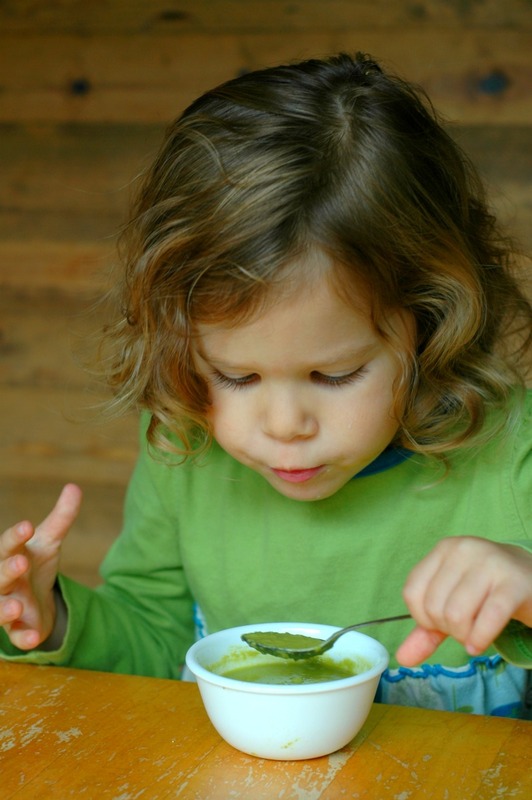 Simple tastes of nutrient dense food as they explore the family flavors in the beginning, will develop into full toddler meals that nourish rapidly growing bodies. The recipes and tips in Nourished Beginnings is truly the heart of my home, and I am so honored to share this labor of love with you, my readers! You can find Nourished Beginnings Baby Food here! 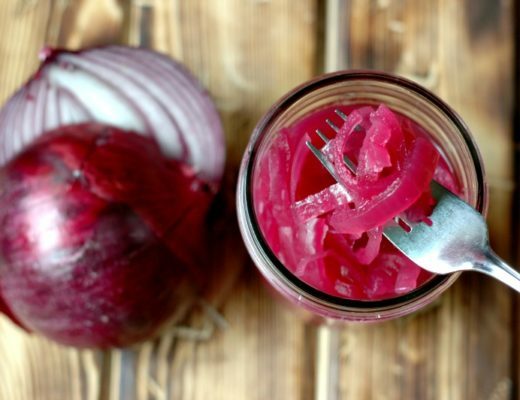 Probiotic Rich Fermented Red Onions & 10 Minute Sheet Pan Fish Tacos! LOVE this Renee! Such helpful tips! You’re going to help so many parents! Great tips and can’t wait to receive my book! These are great!! I love learning from your example. All your photos are great, too. Yay for the cookbook!!! YES – it sure does make a difference! Sharing this with a few friends! So funny! They are so moldable at those little ages! Such super ideas! Will share with friends with small children. Can’t wait to review your book! 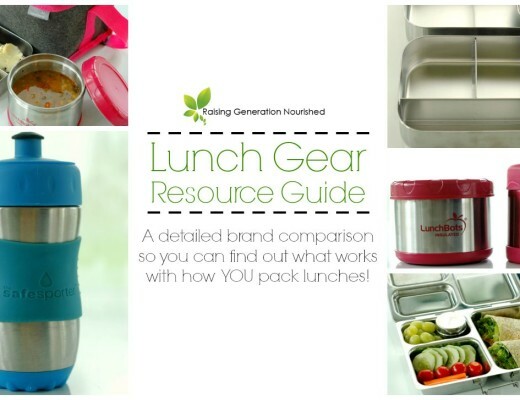 It looks fabulous — and so very helpful for moms! of foods — I believe that my parents were such an influence – “variety is the spice of life”. Hi Carol! I will be honored to hear your thoughts on the book! From an herbal standpoint – my girls have had tinctures of this and that and herbal tea since very young so they take them and drink them without complaint and it is so nice! What am amazing book. Your photos are adorable.! Sharing. 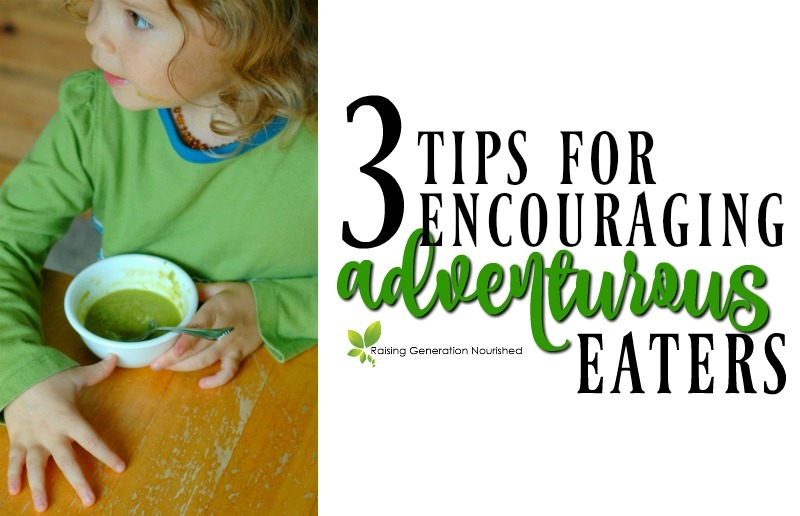 These are great tips to pass on to our Happy Body Formula participants with kids who are hesitant to eat the foods. Thanks! Hi Renee! I’m so loving your blog right now. My question is; How would you handle family members that don’t make the same food choices as you? I too was brought up on food from a box and my family thinks I’m being snobby about food choices for my little one. Thanks! Hi Kelly! Great question! I am a big fan of sticking to my guns – but with grace and kindness. Especially when it comes to the very little ones that haven’t had all the junk yet, I literally just said no thank you for them and packed them stuff they could have. I asked ahead of time on parties or gatherings about the food and packed from there. Those grandmas love to spoil their grandbabies though, so have some grace. I used to buy little “treats” or bring special fruit for my toddlers when visiting grandma that she could give them as a treat – to watch grandma’s face light up when my babies would squeel with glee over blueberries is worth it. And then grandma comes around seeing that it doesn’t take a dessert to make her grandkid enjoy food. So then as the girls got older, I would leave a bag of Yum Earth Lollipops or Larabars at Grandmas so they could have something to spoil them with. But to be honest, at this point the grandparents are pretty convinced – they love that their grandkids love fruits and veggies and are such good amazing eaters – they have essentially become “believers” – they totally get it. They see how healthy my kids are and how willingly they eat “adult food.” I still leave treats but my parents have become just as much label readers as I am, and it’s so cool. Bigger family gatherings can be tough, but again for the babies and toddlers I just don’t go there. I pack them their own food for birthdays/treats. Now that my girls are 3, 5, and 7 I let them have some of the party food if it is within reason (for instance taco bars are common for birthday in my family for some reason LOL so I let them do that), but I still don’t do the bright red or blue birthday cakes. 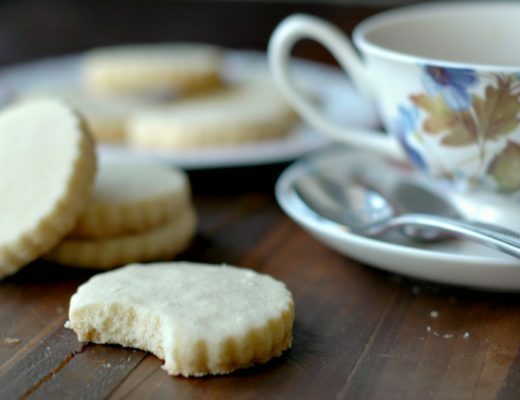 I take along homemade cupcakes or cookies and they are fine with the swaps. I let my oldest make her own choices now and most of the time she chooses really well. She has made some choices to try the other food and has ended up with a couple tummy aches and I think those are valuable lessons. Ok so that got long! Sorry! Know you are are not alone. Know that YOU are the momma – and if you feel judged just roll with it and don’t take it personally as much as you can. You are a part of an amazing generation of moms that are going to take back our kid’s health and your kids will thank you someday. You can do it all in kindness as well. I hope that helps!